IKEA's furniture names are famous for being hard to pronounce, but they aren't completely random. Here's where they come from. 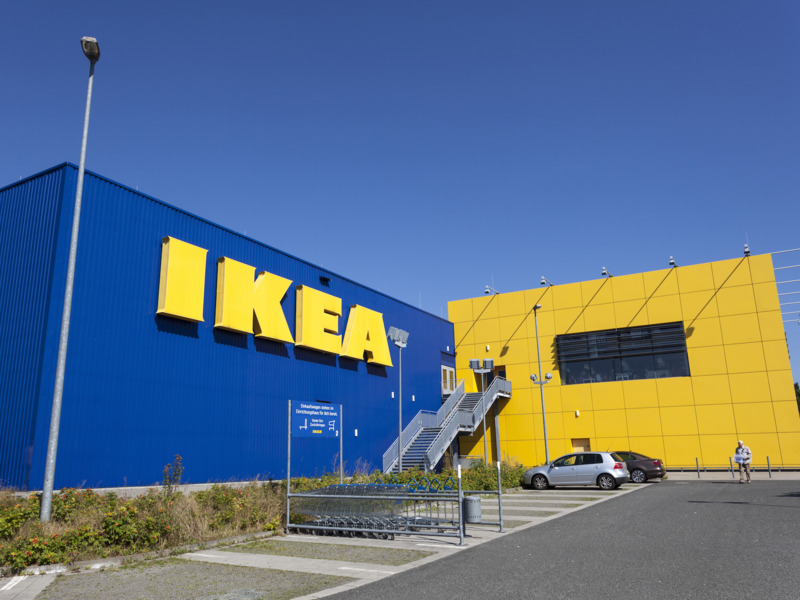 Philip Lange / Shutterstock.comIKEA’s furniture names are famously hard to pronounce. IKEA sources its product names from Swedish dictionaries, atlases, and birth announcements. Product designers and developers name merchandise after people they know. The famous “Billy” bookcase, for example, is named after a former IKEA employee. IKEA’s famously hard-to-pronounce furniture names aren’t just gibberish. They’re part of an elaborate naming system originally designed to help IKEA founderIngvar Kamprad– who was dyslexic – keep track of the thousands of products the furniture giant develops every year. IKEA groups the product names, all derived from Swedish words, into categories instead of using serial numbers. For example, bed textiles are named for flowers and plants, bookcases for professions and Scandinavian boys’ names, and sofas and armchairs for Swedish places. Ektorp, the living room staple, is named after areal placein Sweden. Janne Ahlsén, a retired IKEA product developer, told Business Insider’s new podcast,“Household Name,”that Kamprad’s sister used to oversee the product-naming process. When the system was first introduced, she was responsible for curating a database of approved product names and assigning names to new furniture designs. According to IKEA’s range development unit, the database has since gone digital. Names are collected from a variety of sources, including dictionaries, websites, maps, and birth announcements, and the system tracks which names have been approved and are available for use. Listen to more about IKEA product names in our latest episode of the “Household Name” podcast. The IKEA range includes more than 10,000 products, 25% of which are cycled out year to year. All new product names must be approved before they are entered into the database, a process that includes checking for double meanings and innuendo in foreign languages. But according to Ahlsén, product designers and developers still have some sway in deciding what their products are named. IKEA’s iconic“Billy” bookcase, for example, was named after a real guy: Billy Liljedahl, an advertising manager at the company. And Ahlsén named a storage bin he worked on after his father, Göte.